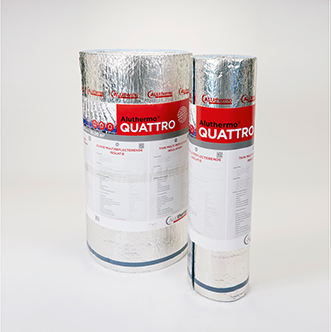 An ideal «all in one» solution as it acts as an insulation material, vapour barrier and roof membrane. An ultra-thin, multi-reflective and with 4 layers of aluminium multi-layer insulation material which is thermally-welded across all its surfaces. 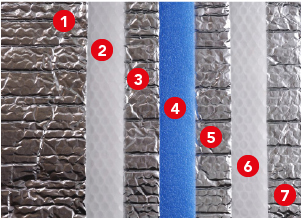 The air trapped in the bubble film and polyethylene foam is dry and stable.